New York, NY (Aug. 22, 2016) – Perpetual Learning, an education innovation and technology company based in Manhattan, N.Y. announced today the launch of the world’s first open-source proctoring solution for Open edX. This proctoring solution, powered by ProctorU, has been open-sourced as a part of Perpetual Learning’s continued contribution to Open edX, one of the most popular open-source learning management systems for online education. The proctoring service is provided by ProctorU, an industry-leading online proctoring platform. This proctoring solution is available as an Xblock, which is an extension of Open edX courseware components. This xBlock is already in use by Fun MOOC, Europe’s largest Open edX-based online education offering. It is available in English and French. An ongoing issue with online learning in Massively Open Online Courses (MOOCs) like Open edX has been the validity of certification due to the lack of oversight and proctoring which are available in traditional learning environments. Certificates from online learning often symbolize the time spent within a course and results from unsupervised grading. The launch of this proctoring service for Open edX ensures academic integrity through secure and remote online proctoring, the time tested method for protecting exam content. “With the large and accelerating adoption of Open edX for online learning, concerns about integrity have also been growing. This xBlock directly addresses this concern,” said Amish Gandhi, CEO of Perpetual Learning. “This is the first open-source proctoring solution for Open edX, now available to everyone”. Matthew Jaeh, CTO of ProctorU is also pleased to support the Open edX community. “We have successfully monitored over 2 million exams since 2008, and this initiative opens up our service to institutions adopting cutting-edge learning management systems like Open edX,” Jaeh said. ProctorU watches students take exams online using webcams and screen-sharing technology. The service gives students the convenience of testing at home and instructors the ability to ensure exam security. ProctorU uses a three-step process that confirms that the student who registered for the exam is the student who is taking the exam and is following the institution’s testing requirements. Using webcams and screen-sharing technology, test monitors can see the student and what they are doing. ProctorU offers live, person-to-person, real-time monitoring to more than 900 colleges, universities and certification organizations. For more information, visit www.proctoru.com. If you have arrived to this page, you’re probably here to gain an understanding about something or learn something. This is happening not just here, but every moment you’re awake. Be it listening to This American Life or looking at pictures of some really cute cats, your brain is constantly taking in new information and expanding its capabilities. The way we take in new information has dramatically changed since the introduction of the Internet. The constant action of flipping through endless pages in the Encyclopedia Britannica has been simplified to a couple of taps on a keyboard to browse Wikipedia. Our access to knowledge has never been more effortless or free. The concept of mobile learning is pretty self explanatory–the act of learning through the use of mobile devices like phones or tablets. This happens in majority of the time we use our mobile phones, from browsing Buzzfeed or searching for information on Google. With this, it’s easy to say this form of learning is accessible virtually everywhere. Buying a phone or a tablet costs significantly less than owning a laptop or enrolling in a formal higher education program. Over the years, the integration of mobile experiences with traditional education environments has improved. More and more classrooms have replaced textbooks with digital learning tools available on mobile phones and tablets to offer students a more accessible and interactive alternative for learning. There are apps and platforms dedicated to a systematic means of learning via mobile, with organized lessons, learning paths and achievement systems. Apps like Duolingo, Udacity, and edX have done just this by offering mobile courses with specific learning goals. These help users learn whenever they want, wherever they are, just with an internet connection and a battery. As another self-explanatory trend of digital learning, Personalized Learning is a solution that is specifically tailored to a student’s specific needs. The content, format, pacing, and path can all be designed to create a learning experience for that particular student. In this environment, learning is not about achieving certain goals, but more about the experience of learning. Unlike traditional curriculum-based learning environments where some students are likely to fall behind since not everyone has the same learning capacity, in Personalized Learning, every student is given a share of attention that creates a learning experience specific to them. It promotes significant interaction between teachers and students in both a physical and digital learning format. Alt School, a San Francisco startup that aims to revolutionize the education system in primary to middle school environments via personalized learning has recently received $100M funding from Mark Zuckerberg. Also, the digital personalized learning platform Knewton has worked with numerous institutions to offer them personalized learning solutions for student and employee education. It is also important to note while Personalized Learning aims to tailor the learning experience for every student, it is unfortunately not accessible to the masses. In addition to the substantial amount of research, content creation, and personal interaction between the teacher and the student needed to create a personalized learning experience, there’s also an enormous price tag attached to it with a minimum cost of $3,000 per month to attend Alt School in New York City. Micro learning offers users short and concise content in multimedia and interactive formats. It often includes text, video, games, and other interactive content to help the users learn in short periods of time. Due to its short duration and flexible formats, it can cover an immense range of topics from programming languages to human anatomy. It’s fast-paced nature matches the modern lifestyle perfectly, in which people’s attention spans have shortened to a mere few minutes. This method can be found everywhere–to the point where experiencing it can go unnoticed. Took a lesson in Duolingo? Signed up for daily UX challenge? Subscribed to Crash Course on Youtube? Though these examples are in slightly different formats, they are all considered to be micro learning. Micro learning is able to cover diverse topics, but is not suitable for every topic. The fragmented style of learning is not suitable to convey new, abstract, and in-depth topics. For example, it is suitable to teach the learner new visual design tips and tricks daily, but it is not suitable to grasp the general theory of relativity. While the main source of learning has always been the teacher, learning from your peers is also an effective and underestimated way to learn. While both studying with your classmates and joining a discussion group can be considered peer learning, the digital rendition of this can easily create a positive and encouraging environment that promotes discussion. It also makes it easy to put students with a similar level of understanding or learning style in the same group to ensure learning efficiency. Peer learning has proven to be more effective than doing solo exercises. While teachers do provide the bulk of information during a class, there’s always new and undiscovered things you can learn from your classmates who usually provide a more approachable atmosphere. Unlike a lecture environment in which information is mass fed from instructors to students, interaction among students can promote a more active learning experience. Furthermore, in a traditional peer learning environment such as a discussion group, it is difficult to ensure equal participation, a positive environment, and the same level of understand of certain topic among students even with an experienced moderator. Converting this to a software based environment allows the digital peer learning environment to be self-organized without the need for a moderator to initiate collaborative learning in real-time. While Virtual Reality’s claim to fame lies mainly in video games, there lies hidden potential for it in the education realm also. Taking education to VR has led to directing the way students learn to an entirely differently designed immersive experience. It’s certainly difficult to learn and empathize the experience of Syrian refugees through reading articles or watching videos, but viaa 360 video, users are able more accurately learn what the refugees have to go through in their daily lives to empathize their experience. VR experiences can help bring students to places thousands of miles away with a significantly lower price tag than having field trips. VR can even bring them to places that are impossible for anyone to visit but are in the curriculum such as Mars or the south in the Antebellum Era. Integrating VR with education can alter and increase student’s opinion on curriculum and can shatter education standards that have been the status quo since the 1700’s. Google Expedition has been developing 360 videos and experience to offer students an affordable way to experience VR learning. Through the device and application, students are able to be virtually underwater, swimming in the Great Barrier Reef in Australia to understand the ecosystem, or be on the top floor of The Burj Khalifa in Dubai to appreciate its literal architectural grandeur. Education through the use of modern technology is able to achieve goals that are impossible in the traditional classroom environment. VR has the untapped potential that can take students to virtually anywhere in the world and beyond. One of the main new trends, Personalized Learning, can create lesson plans and goals tailored to individual needs and wants. Digital Peer Learning has the ability to easily moderate a positive and collaborative learning environment. While there are certainly a lot of benefits to these learning methods, no single one is considered to be ideal. Personalized Learning, while tailored, requires a huge amount of research, content creation, and interaction between teachers and students. Mobile Learning is limited by x x screen size and battery life while Micro Learning is only suitable for certain topics. Creating a well-rounded learning experience is only achievable on a handful of platforms and applications, since most of them have specific emphasis on learning methodology, but this is not the case for Open edX with it being designed to implement multiple learning methods on a single platform. Users can learn with their mobile devices through the Open edX app, gain knowledge from their peers through discussion groups and learn via micro-learning from the diverse formats of content supported by Open edX, and embed formats like VR leveraging its flexible customization options. edX , the creators of Open edX, offer the main MOOC site edx.org which provides users opportunities to learn regardless of who and how old they are, as long as they have access to a computer. Countless institutions and nonprofit organizations have been using edX to offer access to quality educational and interactive content to their users. One big advantage of edX is the ability to allow learners to learn at their own pace. Unlike traditional lectures in which students follow the same curriculum schedule and project deadlines as others, edX offers flexibility to those who are less positioned for traditional education. Moreover, edX is a brilliant way to share knowledge since in a traditional lecture environment, there are maximum capacities and limited seating and yet in an edX course, content can be shared among tens of thousands of students while at the same time adhering to quality standards. 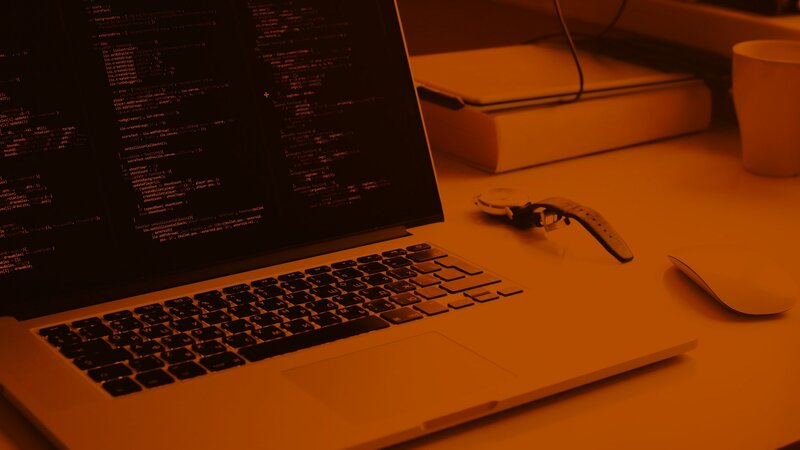 As an open-source software, almost every component can be modified to tailor the product to different types of clients and use-cases. However, it is important to keep lean design and development methodology in mind and focus on creating a minimum viable product offering the most learner/user value as soon as possible. Only then the user’s behavior, needs and wants can be understood to tailor the platform specifically for the them over time. In this blog post, we will take an inside look at the process of user interface design ofan Open edX platform, specifically regarding the first cycle of the process: Creating the minimal viable product. This process can be divided down to three components— Research, Ideation, and Pre-implementation. Prior to starting the research process, it’s essential to measure the scope of the project. The understanding of the qualitative and quantitative goals, the context, the restraints, and the stakeholders is an essential activity that lays the foundation of a project and serves as the reference for future design and development decisions. Starting a project without this comprehension can be compared with an attempt to hitchhike through the galaxy without a towel. With the end of this process, the Research portion then transitions towards understanding who your target audience is. Understanding your target user is one of the most important aspects of a project and one of the most important stakeholders. (Unless you are an infamous cable company of course). The HBO show Silicon Valley exemplifies the fact that users can easily determine the fate of a project because in spite extraordinary talent and dedication devoted to the middle-out compression process, Pied Piper failed when they failed to understand their users. It’s common to not have enough travel budget to visit and and interview target users, but this doesn’t mean there aren’t any opportunities to understand the user. One of the handiest tricks is creating user personas covering as many details as possible, just like the introduction of the movie Amelie, which provides irrelevant yet interesting facts of the personas, making them more believable. How would they hear about this learning offering?? What entices them to use this learning offering? What’s their motive to use this learning offering? How would they access the Open edX platform? What’s the process of accessing the Open edX platform for them? What should their first impression be about the Open edX platform? What might drive them away upon first encounter with the Open edX platform? How would they interact with the core functions of the Open edX platform? What kind of pain points would possibly occur to them? How many features would they actually be using? How would they exit the Open edX platform? What kind of take-away would they have even when they are not using the platform? What’s the long term influence on them from the edX platform? Through the process of creating user personas, a lot of questions, critiques, insights, and problems will pop-up as well as fresh ideas for features that would suite the target user. While new ideas are always welcome, the main purpose of this first cycle is over-simplifying. Creating a minimum viable product is more ideal compared to one with too many confusing features and add-ons. And refer back to the project scope to make sure the decisions align with it. The understanding of what information is important to the user, what would entice them to sign up, and what might confuse them can also be learnt from the user journey. From this exercise, the basic flow of information of the landing page can be determined. This next process starts off by translating all the essential information into a wireframe, which is the skeletal framework of a website page. Wireframes help designers in the way sketches help illustrators, gives them a rough idea of the appearance of the page and enables them to experiment with different styles of presentation and order. To make this information relatable and easier for users to understand, integrating graphic content, pictures with tagline, and implementing a clear hierarchy of text style definitely helps. At this stage, it’s important to still not get too stuck on tiny details like tweaking every kerning between letters, or writing the perfect copy, but to instead focus on the general flow and presentation style of the information. Also, it’s important to constantly check-in with developer during this process to see if the design is doable from the developer’s perspective. The design portion is just half of the website and receiving affirmation from the other half is equally important. It’s worth noting here that with Open edX instances, we think that not having a prominent and meaningful splash page telling potential learners about the offering is a lost opportunity. It is also an opportunity to build the brand more and do something fun. So building on the default landing page with the main hero image, we like to expand more and talk more about the offering with clear messaging and call to actions, in a modern full-page layout. Once the wireframe has been tweaked and edited to where you’re finally satisfied with the structure, this is where little details such as colors, fonts, button styles, and cards come into play. These are all used to solidify the theme and overall harmony of the page itself. Often clients provide a style guide with primary and secondary color palettes of the brand in which case the color styling would mainly be a matter of establishing clear hierarchy with selected colors within the page to emphasize certain buttons of information. When the style guide isn’t provided or is considered to be too minimal, there are many online tools that can be utilized to assemble great color palette like Adobe Kuler, or Colllor. Often font families are specified in the style guide, but when they’re not, there are tons of free fonts provided on Google Fonts. Be wary of using paid fonts that might not be supported by all browsers and of course, never comic sans. There have been many successful iterations of a button design, but the real trick is knowing how to combine its high-priority stature (making people want to click on it) while at the same time harmonizing with the rest of the page’s elements.To achieve a consistent style of buttons throughout the platform, it is essential to check in with the developer to see if the style of the button can be implemented not just on this page, but sitewide. ​There’s no better way to create a responsive layout and a coherent display of information than using system of cards. In edX, cards are used to not only organize courses but can also be used to display perks of the platform or testimonials of the users. While there are lots of guides online to create the perfect card, the one from Google Material is highly recommended to use. Note: Before creating the style guide, don’t forget to receive approval from the developer involved to understand their preference to speed up the implementation process. This process involves creating style guides for implementing the design onto the live page. There are many tools that can help designers create specification guides with pixel to pixel perfection, the plugin Measure for Sketch being one of them. You not only have the ability to turn a rectangle into a height guide using “lite height”, but also can obtain the property of an object without any significant hassle. It is important to note that the research and design process is never a linear process–there’s often tedious actions involved such as checking user personas to see if the style of information is suitable for the target users or checking the project scope to ensure the information is aligned with it. Another problem that every designer and developer duo run into more than often is when the design is rendered unimplementable and needs to be altered; causing a storm of headaches and frustration. For this we recommend the designer and developer to be in close contact through the definition and build out process, and then standardize the solution for future implementations. ​At every stage of our lives, we have dreams of being successful in our own respect and even indulge ourselves in the delusion of being someone else to escape our reality. From dreaming of the day you are Kendrick Lamar spitting bars in front of thousands to replacing your friend who is currently backpacking in Europe, dreaming of wanting to someone else or someone famous is nothing out of the ordinary. On the flip side, when was the last time you imagined being less fortunate than you are now? Not a few dollars poorer mind you, but completely penniless with no home or family. Imagine yourself as that, as an eight year old Syrian refugee who was separated from her family amidst all the chaos. I bet you have never imagined experiencing the pain of being forever bound to a wheelchair or the struggles of being autistic and experiencing constant stimulation overloads. There’s nothing wrong with this, if there was a choice between being Kendrick Lamar or a Syrian refugee for a day, most would rather be spitting rhymes. It’s nice to dream and imagine once in awhile, but the fact is that Kendrick Lamar is indeed real and sadly so are thousands of Syrian refugees. Despite reading various articles and watching documentaries and news reports from time to time, most people turn a blind eye or quickly forget. It’s our emotional empathy that enables others to understand and share feelings of another and with the amount of violence and tragedies arising recently, it’s no wonder it’s at an all time low. Being empathetic, especially to the ones that are less fortunate can shift your perspective and give you opportunity to learn to think, feel, and act beyond yourself. It’s the factor that makes you want to put yourself in Syrian refugee’s shoes and it’s the factor that makes you want to help. For those that understand the importance of this, they’re trying to help in their own unique ways; one of them using Virtual Reality and 360 Video. One of the most powerful tools for creating an emotional response is visually. There are filmmakers, engineers and designers now working to create immersive experiences with virtual reality and 360 video to help create these responses. So bring out your Google glass, Samsung VR Gear, Oculus Rift, or HTC Vive, and let’s hop on the emotional roller coaster and live vicariously through a few individuals to experience what they saw, heard, and most importantly, how they felt. Since 2012, the two co-founders of RYOT, Bryn Mooser and David Darg have been creating documentaries in the medium of immersive experiences. The topics of their works have expanded beyond their original focus of 2010 Haiti Earthquake to covering critical issues such as elephant poaching, oil industry pollution and the migration of refugees. One of our favorite works from them would be Confinement. A powerful documentary covering prison and inmate culture, the immersive experience is set inside a solitary confinement cell. Looking closely at select inmates, we are guided through stories of how it is to live in a tiny concrete box and their inhuman treatment for years and for some, even decades. While the visual and audio elements are simple, it turns to be extremely effective when paired with the powerful narration. If the documentary was viewed from the big screen, it would certainly have been memorable, but viewing it from my headset with a full 360 experience made it that much more powerful. In 2007 Jane Gauntlett experienced a traumatic brain injury that left her in coma for three weeks. Six months after that she was diagnosed with epilepsy, giving her seizures episodes without any prior signs or warnings. In such a short amount of time her world had completely turned upside-down. Not only did she have a tough time adjusting, but the people around her were also unaccustomed to the symptoms of the disorder. 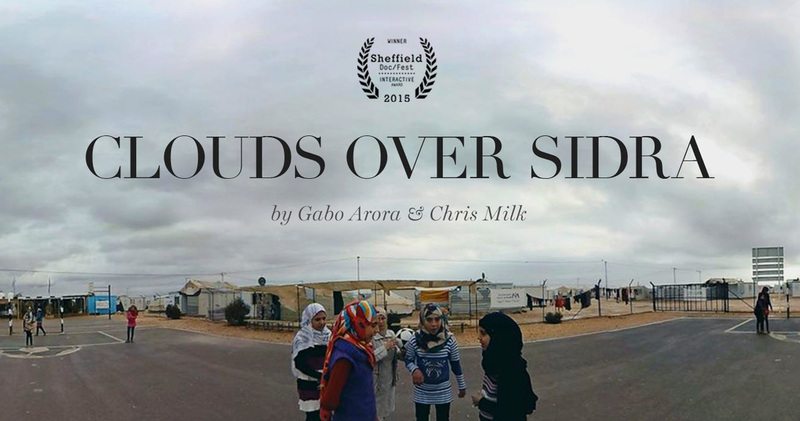 Using 360 video, she started an immersive experience project In my Shoes as a tool to articulate immersively what it is like to be in her shoes and to help her family and friends understand this. 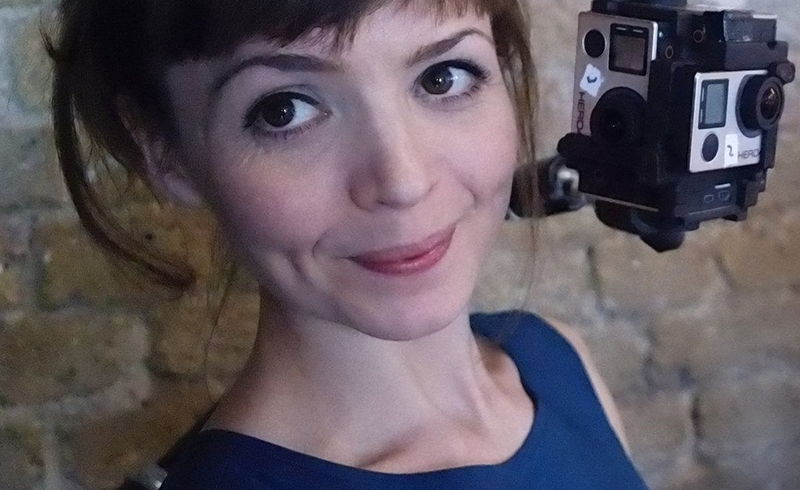 Using a GoPro and other instruments, she recreates her dreadful experience of a seizure incident she had in an upscale restaurant while waiting for her friends. 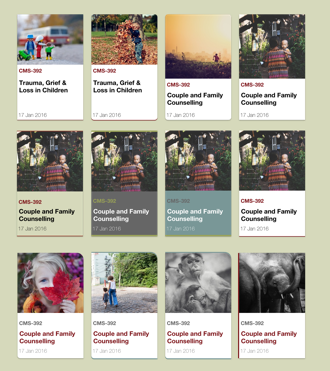 While it started off as a tool for communicating with direct family and friends, the video has gained a lot of traction and has influenced many across numerous countries and institutions. One of the most memorable parts of the experience was how she simulates her version of a blackout. No matter how much you turn or how hard you look, everything is pitch dark. The audio of a loud pink noise and an unnerving visual of darkness truly creates the illusion of being disconnected from your body and the outside world; an exceptional look into what a seizure episode is like. We soak up all different kinds of news each and every day. Whether one company acquired another or whether there are issues in a country, the internet has enabled people around the world to have constant access to news. When it comes to issues in the Middle East specifically, it has been a constant issue in the past couple decades. With Syrian refugees being one of the most recent issues, there have been a lot of newspapers and news reports covering this. However, does this really give us the full picture of the issue? While a lot of people are informed about the situation, it’s the empathy that is lacking here. People soak up news, but what do they do after? They forget and wait for something else to pop up–a completely normal behavior these days. While most diseases discovered by doctors have their combatting cures and treatments, Dementia does not. Dementia is not simply a byproduct of aging, but an extremely complex disease that affects millions of people around the world everyday. Symptoms can include forgetfulness, limited social skills, and thinking abilities so impaired that it interferes with daily functioning. The struggles of handling this disorder not only involves the patient, but the people surrounding also. Dementia, the disorder wrapped in mystery and confusion, is one of the most heartbreaking and confusing to deal with since the symptoms have been sorted out, but the cause and cure is unknown. Wives, husbands, children, and parents are often quickly turned into caretakers for patients and hardly know how to deal with it. 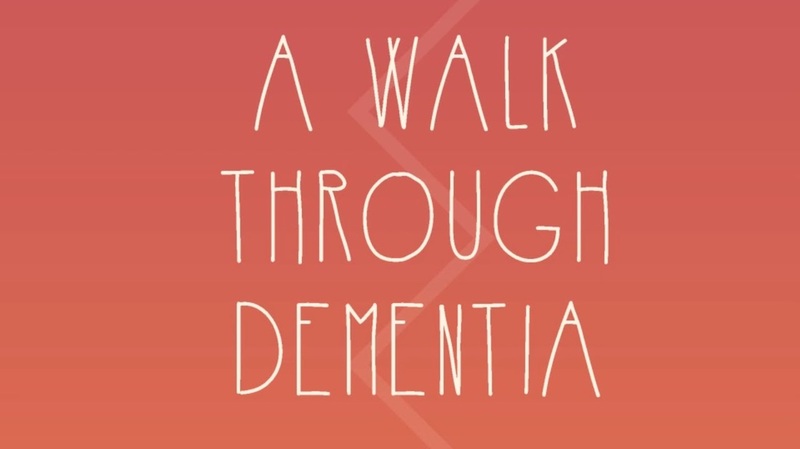 Developed by Alzheimer’s Research UK, A Walk through Dementia is a series of immersive experiences going through daily life from the viewpoint of dementia patients. Recreating what the patients see and how they feel, this series is an attempt to try to get these emotions across to people who are looking after them to help them understand the disorder itself. 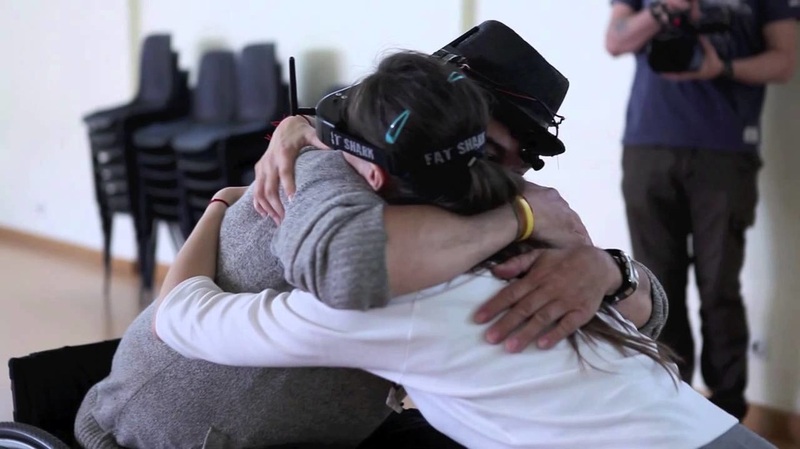 Unlike other immersive experience projects that have been covered, ‘Be Another Lab’ doesn’t use a pre-recorded experience to draw out others’ empathy but instead uses a live performer that mimics your actions and visuals from their point of view. These are then transmitted to your VR headset, effectively creating your identity virtually onto a different person’s body with the ability of interacting with surroundings. The performer also wears a microphone to tell their personal narrative throughout the experience. This allows you to truly feel what it is like to be bounded on a wheelchair, to be the opposite gender, or to be a different race by enabling you to interact with the body that you’re virtually in. You can move around in a room, interact with different objects in a variety of settings such as in a different color of skin or physical condition. Most interesting of all, you’re able to virtually switch body with another person with the device Be Another Lab has developed that lets you see yourself from other’s point of view. All these experiences gives us an unprecedented empathetic perspective on some situations, and looking at the more somber parts of life makes reality as real as it can get without actually being there.